After living in numerous cities while growing up, Cassandra has called the Gold Coast home since 1998. She studied Hospitality Management in the UK, which gave her opportunities of a lifetime including living and working at the Banff Springs Hotel Canada. With a strong background in customer service and sales related industries. Cassandra has applied these skills, over the past decade, alongside her husband in the real estate industry, whilst raising a young family of three children. She is dedicating to leading and developing a team of like-minded real estate professionals focused on delivering exceptional experiences when transacting in property. 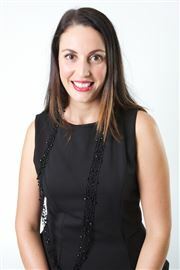 Katrina Mattig is a valuable asset to the Harcourts Coastal group. With over 18 years experience in all aspects of Real Estate operations Katrina's knowledge and drivin nature allows her to lead the team to excellence. Katrina's passion for innovation and development allows Harcourts Coastal to remain at the cutting edge of the Real estate Industry. Katrina enjoys ensuring a cohesive work environment through systems and procedures to guarantee individual and business growth. With 15 years experience in the real estate industry, Kym's passion for real estate has never dimmed. With the vision of creating a real estate office that is the beacon of professionalism and results means that keeping the team on track and energised is the priority everyday. To give the best service possible to every client I represent. I will never tell a client what they want to hear if it is not reality. I will never enter into a relationship where I know what is expected of me cannot be delivered in good faith. When hired to sell a client’s home, I will always make recommendations that can assist their homes value or help reduce its marketing time even if it means telling them things they do not want to hear. I acknowledge that I may periodically lose business because I am truthful with my clients and that my competitors will tell them what they want to hear to temporarily get their business. I will always remember that to have a winning relationship with my clients, we must always have a mutual goal. I will never lose sight that my honestly, loyalty, understanding, accountability and creativity are what make me so different from the Real Estate masses. My services will always be available to the public. I will always utilize well trained staff to assist me in the complex home selling process. I will prioritize my time so that I am working with only people who are buying or selling real estate, I will always treat all parties honestly and fairly and I will always offer my properties to any perspective buyer or colleagues or agents with prospective buyers. I will always promote the best interest of the owner, I will obtain the best price for the owner, and I will always disclose to the owner all facts that might affect or influence their decisions. I assure you that during my Real Estate career I will always strive for excellence and I make a commitment to forgo a portion of my life in exchange for continued education so that I ma6y better serve my clients. I share this with you because I believe it is important for you to know how I feel about the Real Estate industry and how I feel about the marketing of your home. You win in life by helping others. I want every customer of mine to share their success with their friends, family and acquaintances and be ‘Clients for life” I look forward to working for you! Business Profile: Campbell entered into the Real Estate industry in 1990. His passion to make a deal, rather than break a deal in order to obtain great results for his vendors earned him the title of “A Selling Machine”. 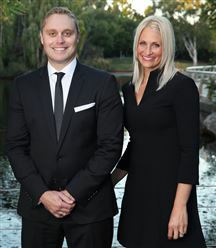 Campbell has been a finalist in a number of Auctioneering Competitions and has been seen on many television shows with Michael Caton and Deborah Hutton on Hot Property; Location, Location and Hot Auctions. He has also won almost every real estate award possible, which is testimony to his competency. He prides himself on his extremely high referral and repeat business which runs at about 34%. Campbell’s friendly demeanour and personable nature are key to his success within the industry. His ability to connect to clientele from all backgrounds, his hard working attitude and drive to succeed are all vital in making him the successful agent he is today. Personal Profile: Campbell’s childhood days involved the running of the family sheep farm (well he thought he was helping) with his twin brother and his two other brothers in a small country town near Warrnambool, Victoria. Campbell has always enjoyed his sports. He became a Physical Education teacher in Victoria and then went on to open an indoor tennis stadium. He also played and coached a lot of football – Australian Rules of course!! Campbell moved to the Gold Coast in 2007 and has loved every day since. Away from work, he enjoys the beach, entertaining and spending time with friends and family. He lives locally in Broadbeach and loves a nice restaurant. He is known for his positive attitude, and easy going nature. Always happy and living life to the fullest. He has four children; Lauren, Daniel, Maxine and Lola. The two younger girls go to St Hilda’s school in Southport while his oldest daughter lives in France and his son lives in Melbourne. Achieving outstanding results for her clients is something that clearly comes naturally with over 28 successful years of buying, selling and managing property Emma Jefferies continues to set high standards and record results throughout her specialist area. Emma not only sells & manages property she has taken out many awards and is currently one of Australia’s sought after Real Estate Trainers. Combine this with the fact that she has a genuine passion for property, dealing with people area as a whole, the results speak for themselves! Emma’s natural enthusiasm and being an owner & resident locally herself, she has a thorough, first-hand understanding of the local market and the people who live there. So it’s not surprising that one of her many strengths is a strong customer base and an in-depth wealth of local knowledge. For clients who are looking to buy or sell in the area, her ability to provide this valuable insight and key information, certainly gives her the edge. She thrives on the negotiation process and prides herself on her willingness to go the extra mile for her clients. Completely open and honest in her communication, Emma believes it is her dedication to a professional, seamless sales process that ensures the loyalty of her many satisfied clients. Emma invests in the community, hosting great community family fun day events, profit raising breakfast's, annual community Easter Egg Hunts & even visits from Santa. Emma believes the key to her success are a passion for service, commitment to being a part of a dedicated team and a national brand which produce a string of outstanding results and winning customers with their peerless levels of service. With a vast array of achievements Emma has just spent the past year rolling out the training and development of one of our international offices, Harcourts Bali. Now back on home soil Emma is set to achieve amazing results for her clients. Originally from Melbourne, and living in Queensland for 23 years, Grant’s passion for sport saw him to rise to championship level in both football and the national sprinting titles. After extensive overseas travel and a stint in the USA, Grant returned to Australia, attaining key positions with Ansett and Queensland Tourism where his energetic approach resulted in the dramatic expansion of domestic markets. 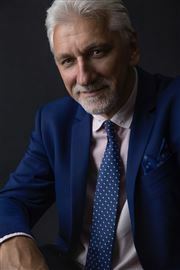 Grant’s astute marketing and negotiation skills are the result of over 15 years successfully promoting luxury hotels, airlines and state tourism products to Australian and Overseas companies. Sales Management positions with leading luxury Gold Coast hotels followed, culminating in his appointment to the team that launched the six-star Palazzo Versace Hotel in Main Beach. Subsequently Grant joined the Ray White Broadbeach sales team, enabling him to combine this enthusiasm for selling with a long-standing interest in real estate, culminating in many awards and accolades. Grants results speak for themselves and as a result he was offered a senior role with the dynamic Harcourts Coastal team. “I believe my positive attitude and determination to do better every time is the key to my success,” Grant says. “And because Harcourts provides the very best in training, technology and support, my clients will receive the best service available. It’s exciting to be working with such a respected name in real estate, and in the Broadbeach office, where real professionalism and ethics are combined with an energetic and fun atmosphere” As a Gold Coast resident for 20 years, Grant’s local knowledge is invaluable to the many investors and residents keen to buy and sell homes in this go-ahead area. When not engaged in marketing properties, Grant enjoys cycling, football and visiting our beautiful beaches and parks with his wife and three young daughters and his son. Grant's areas of operation are: - Broadbeach Waters #1 consultant for over 13 years - Mermaid Waters - Clear Island Waters - Carrara - Surfers Paradise - Sorrento - Benowa/Benowa Waters - Southport - Arundel Hills - "Royal Pines Specialist" - Mermaid Beach, Miami, Burleigh, Ashmore and Broadbeach 07 5526 6999 - call us now! Lisa Amies-Jones has spent her working life involved in the service industry and more than fourteen years of that selling real estate on the Gold Coast. It is her passion, enthusiasm and dedication to offer her clients a higher level of customer service that sets her apart in her area. Lisa is originally from the cathedral town of Winchester in the UK and after leaving college she decided to chase the bright lights of London and moved to Old Compton Street Soho. An opportunity to move to Hong Kong to work for Planet Hollywood Asia saw Lisa involved in the opening of their restaurants across Bangkok, Dubai, Singapore, Auckland and the opening of Melbourne's Crown Casino. An intensive management training program working for one of the busiest restaurants in the world also opened the doors for Lisa to work in the USA at Disney Orlando Florida. Lisa’s straight forward honest approach and high level of integrity has been the hallmark of her successful career in sales and one of the many reasons her clients come back to her again and again. Living It, Loving It, Selling It. 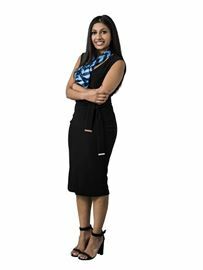 Growing up with a real estate back ground Lydia decided at a young age it was the career she wanted to pursue, and when the opportunity arose last year she jumped at the chance to become a part of the Harcourts team. Starting work experience during her last year of school and following that with a 2 year full time traineeship in the property management department during which she will be working on completing and achieving her certificate IV in real estate. Lydia is a motivated, results-driven individual with hands-on customer service experience. Resourceful and proactive, she combines effective communication skills with extensive product knowledge to identify opportunities and deliver a satisfactory outcome for both customer and company whilst working alone and as part of a larger team. Backed by almost 40 years as a Gold Coast resident and 10 years in property and you'll be sure to source an open discussion about the market and your property. Let Marcel guide you through the listing and sale process with flexibility, thought and care. Sold properties across the Gold Coast region with particular access to high quality buyers from interstate, regional, & NZ. “The most important decision in a successful Real Estate transaction is selecting the person committed to helping you achieve your goals”. Martin is a person who provides high quality service, listens to your needs, and gets things done. He is committed to excellence, which creates “Clients For Life.” He has a professional sales history in selling and received the “Professional Salesman Leader” award in the year 2000. This proves that Martin has been successful in Sales and Marketing. It is a natural progression for Martin to move into Real Estate and join the Harcourts Group. This transition has been successfully made and Martin is now an accomplished achiever in Property Sales. He has been employed with Harcourts for a period of 13 years receiving many Sales Awards. Martin is currently number 30 in Queensland with Harcourts and recently received the Auction Marketing of the Quarter Award for Harcourts Queensland. If you are looking for someone who is energetic, hard working, gets results and is professional to deal with… call Martin! The unusual spelling of Mycheals name is easily explained. 'My dad was rapt the day I was born. He celebrated before heading off to the registry and was so excited he messed up the spelling of my name. When he realised his mistake, it was too late to change it and I am glad for that'. Mycheal is now a well-known face and name on the Gold Coast (not just because of the unusual spelling) and his unique nose serves as permanent reminder that success does not come easily. The nose was broken when Mycheal was playing Rugby League and that’s where he earned his nickname “The Grass Cutter” “I wasn’t a champion, but I had a fierce desire to win”. Twenty five years on he is still going into battle but this time, the landscape has changed and its in the field of Real Estate on behalf of his sellers It seems Mike Carter’s life has been one long challenge to be the best at whatever he turns his hand to. In the early nineties, he established Café Affair in the Broadbeach Mall at a shopfront no one wanted to rent. The restaurant quickly established a trendy reputation as “the place to be seen” and Mike, having achieved success, succumbed to an “offer too good to refuse” and sold the business. He then turned his focus to management rights and enjoyed yet more success with the now well established beachfront ‘Paros on the Beach’ and popular ‘Mari Court’ Mike went on to join Ray White in 1999 and enjoyed top ten status within the Queensland network for over 6 years before establishing Professionals Broadbeach as an owner operator. Mike’s name and reputation is now highly respected as a result of consistently achieving some of Broadbeach’s best sales results and he has a strong client base of repeat buyers and sellers. Mike Carter was one of the top selling Principals on the Eastern Seaboard within the Professionals network and lives by the mantra “If its gonna be, its up to me!” A large part of Mike’s success can be attributed to his ability to recognise the value of property on an individual basis and therefore understand that each needs to be marketed carefully and expertly to ensure that you achieve the best possible price. Over the past 10 years Perry Gamvros has established his name as one of the most successful agents selling on the Gold Coast. Being a local businessman and resident on the Isle of Capri for many years, Perry has developed a large network of contacts and is personally known to many of the local residents. His intimate knowledge of properties, values and sales in the area guarantees that both vendors and prospective purchasers are in a position to make informed decisions about their transactions. Perry's mild manner and amiable personality ensures that all parties are treated with respect and compassion. With his proven sales record, you can be sure that the important decision of either selling or buying your home is in the safest of hands. For professionalism and integrity during the important time of purchasing or selling your home contact Perry Gamvros of Harcourts Coastal. Rob provides a high level of service, listens to your needs, and gives to his clients the service that one would expect himself. Based in Harcourts Group , Rob Prior has attained a wealth of experience through his many sales achievements. Your property, be it a small budget priced unit or a lavish water front property, Rob does the work, gives feed back and service to get the business done. Harcourts Mission Statement “Clients for Life” reads very true with Rob’s own philosophy and his dedication to his valued clients. Rob’s client base is growing strongly due to his commitment to service and past client referrals. Born and raised in Brisbane, Rob moved to the Gold Coast in 1970 after joining Kurrawa Surf Club. With over 40 years of lifesaving service, Rob still thoroughly enjoys the lifestyle. Having also travelled extensively overseas, Rob really believes the Gold Coast is the place to be. 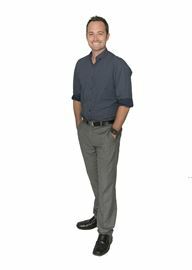 Robert originally from Sydney moved to sunny Queensland in 1989 and spent 7 years enjoying his passion for real estate renovating properties in Brisbane and the surrounding areas. During this time Robert had dealings with many Real Estate Agents and experienced first hand what is important to the buyer and seller during the sale process. As Roberts understanding and appreciation for real estate deepened, he wanted to share his knowledge and experiences with the public to help people achieve their dream of owning their own home and to remember it as a pleasant experience. With this in mind he decided to join the team at Harcourts Coastal, continuing his passion, and to provide the service that buyer and sellers need. If you are looking for a Property Consultant with a difference contact Robert Macciocu. Having many years experience buying and selling her own properties, Sharon knows that trying to find the right agency and agent to market your biggest asset is no easy feat. Sharon has chosen Harcourts, because she believes in their strong service culture, their philosophy “Clients for Life” and proven professional methods of providing committed and dedicated Real Estate services to their clients. With a Marketing Degree under her belt and running her own successful business for the last 10 years, Sharon has a professional style and experience that has enabled her to excel and succeed in the short time she has been involved in the real estate sector. Marketing is a fundamental element of her skills that has enhanced the extensive range of services available to her clients and Marketing people’s biggest asset is something Sharon takes very seriously. There are two major skills involved in the Real Estate, one is marketing the property and the other is negotiating the deal. To get the Marketing right from the start is the most important factor which can take years of experience and a creative flare that Sharon prides herself on. Originating from Canberra, Sharon has spent most of her career on the Gold Coast working with major organisations and government bodies in the role of marketing Manager. Sharon then started up her own business alongside her husband which was in the security industry security in South East Queensland. This also prompted Sharon to get involved in the safety of the community and become involved with the local Neighbourhood Watch as a volunteer. Sharon is a mum of two children, and knows what hard work is all about, so she will work hard to help you achieve your ultimate goals. Give Sharon the opportunity to help you achieve your ultimate goals and become one of her “Clients for Life”. Awarded the top listing and selling agent for Broadbeach five years running 2014 – 2019. When you appoint Shaun as your marketing and selling consultant, you have the advantage of doing business with a true professional. Shaun specializes in all residential sales including apartments, prestige, housing and development sites. After 15 successful years working within the Gold Coast Real Estate industry, Shaun has gone from strength to strength achieving outstanding results for his clients including numerous record sale prices and always ensuring to have a strong strategic plan in place designed for each individual property to achieve the title of ‘SOLD’ for a premium price in a timely manner. A List – Top 150 from 18,000 registered agents in QLD 2014 – 2017 Number 1 – Listing and selling agent for Broadbeach 2014 – 2019 Number 1 – Total sales price accumulated for Broadbeach 2016 – 2019 Auction clearance rate of 89% sold within 33 days When listing with Shaun he ensures full market exposure with proven marketing systems in place. Originally from Melbourne with an insurance background of more than 10 years. Steve brings with him a high level of experience. Steve has lived in the local area for more than 18 years. Steve is an avid sportsman, professional scuba diver, keen footballer and has always had a passion for real estate, investing in property from a young age. 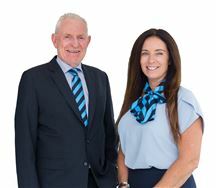 With a premium track record in real estate already established Steve initially joined the Harcourts team because he believed in their culture, professionalism and “clients for life” philosophy. Steve has now been a member of the Harcourts Team for over 6 years. Backed with excellent training, technology and support, clients will receive the best service available. Marketing your biggest asset is something Steve takes very seriously recognising the importance of working with clients to achieve their goals. He prides himself on providing a higher level of professional dedication as a good listener with great negotiation skills. Finding the right agency and agent is critical. Harcourts offers a wealth of knowledge and locations world wide. Whether buying or selling, Steve is committed to providing the highest level of service and approaches everyone with a spirit of friendship. 100% committed and working with a dynamic team Steve thrives on pressure and is perfectly equipped to deal with any challenges as they arise, ensuring the client sales experience is stress free, rewarding and enjoyable. Tina Sander’s career in Real Estate has been defined by a tremendous work ethic and discipline towards achieving the very best results for those that she works with and on behalf of. 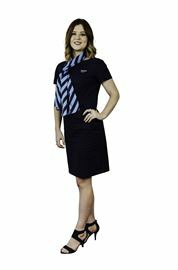 Commencing her Real Estate career in Corporate administration with Harcourts Queensland - she soon moved into Operational Management for the state and then quickly progressed into the International division of the company. As the Harcourts brand made inroads into various market places across the globe, Tina was then chosen to take on the role of Head of International and lead the efforts attached to global growth for Harcourts. It is this role that allowed her to build knowledge and insights into the International property market and develop strong relationships amongst various cultures throughout the Real Estate arena globally. 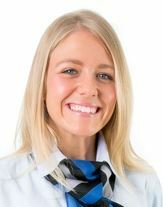 As Tina continues to expand her Real Estate career, by joining the #1 Harcourts office - Harcourts Coastal… she will bring a wealth of experience from the international markets that she has operated in. With direct access to buyer networks in China, Hong Kong, the USA, Indonesia, South Africa and New Zealand Tina is able to cast her net wider than most to ensure the best possible result for her clients. 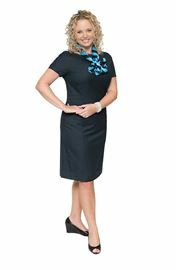 Tina possess a high level of energy and an infectious personality, this combined with her disciplined approach to business brings a formidable advantage to her and her clients. The focus and passion Tina has for Real Estate coupled with her unique background of International markets will prove to be another advantage and a priceless asset to her clients. A very proud Gold Coast resident Tina prides herself on being able to deliver a level of service to her clients that will ensure they feel supported, comfortable and informed enough to make quality decisions when buying or selling a home. Her very personable nature combined with her level of professionalism will ensure she consistently works towards the best possible outcome, paving the way for long term, successful and enjoyable relationships with her clients. A wealth of experience, local market knowledge and comprehensive client service are the points of difference for Tolemy Stevens and his proven success within the real estate industry. He is a celebrated real estate specialist at Harcourts Coastals Broadbeach office and is happy to rise to the sales challenges across the beachside suburbs, specialising in the sought-after areas of Surfers Paradise and Broadbeach. He is an experienced and licensed sales agent who brings passion, efficiency and diplomacy to helping his valued clients reach all of their property goals. He actively sought out the real estate profession and has worked in the local area for more than a decade. His genuine enjoyment comes from the many friends made and diverse group of people met, affording him the opportunity to sell some extraordinary coastal properties and develop a nationwide client database. Tolemy is well known among his colleagues as a skilled communicator with an eagerness to please clients and understand the impact of their transition. His lengthy career has left him widely recognised for a number of performance awards including several area record prices and auction listing awards. He has proven results in the art of negotiation and leaves his clients assured that they have received the best price possible. He has achieved an 85% auction success rate over his 11-year real estate career and has been acknowledged as the Number 1 salesperson for beachfront apartment sales in Surfers Paradise. He is determined to match each buyer with a property that best suits his or her individual lifestyle, financial budget and aesthetic desire. Side by side with being a respected communicator, he is a sales agent who really listens to client’s needs and wants in order to provide a comprehensive and tailored service. Tolemy is well aware that it is his hard-earned skills; ongoing training and development plus intimate local market knowledge that allow him to achieve outcomes that continue to push boundaries. Harcourts Coastal’s industry-leading brand, powerful reputation and superior marketing resources team with Tolemy Stevens as the smart choice for your next residential sale, offering upfront advice, transparent communication and impressive results. Tracey de Vries is a fully licensed real estate agent who prides herself in offering outstanding service. With over 10 years in the industry, she has built a client base of invaluable contacts. What is Tracey’s recipe for success? Apart from her approachable down to earth manner, Tracey pays particular attention to detail, listens to people’s needs and has developed strong negotiating skills. “Outstanding service to my clients is my first priority” says Tracey “while my commitment is to exceed their expectations.” Armed with her large data-base, integrity and a huge passion to achieve, the real estate journey with Tracey ensures a successful sales experience, in what, many find a very challenging industry. 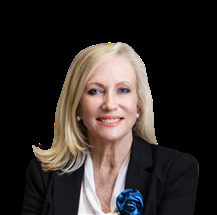 Having sold numerous waterfront and prestige properties over the years, Tracey knows instinctively how to get you the best result. When you list your property with Tracey, you can be sure you will reap the benefits of not only years of experience but also of a passion and enthusiasm that ensures the results exceed your expectations. Tracey de Vries… outstanding service, with commitment to success. Trish brings a refreshing brand of energy and enthusiasm to real estate sales. “I love it”, says Trish. “Real estate offers me challenge and variety, together with tremendous satisfaction unparalleled in other industries". A long history in sales and marketing combined with an early background in welfare, certainly prepared Trish for the rigorous demands of Gold Coast real estate. With a refined ability to read people and situations and superior negotiation skills she has navigated many sellers and buyers through transactions which can be stressful and emotional. 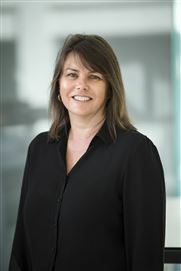 Trish has built an excellent reputation amongst her peers and has a large following of loyal clients, some of whom have sold several properties through Trish. Many of Trish’s sales these days result from either repeat business or the referrals of her many satisfied clients to their relatives, friends and neighbours. A “people person” with a reputation for honesty, integrity and old fashioned hard work, you can count on Trish to do whatever it takes to look after your best interests every step of the way. Rely on her knowledge, experience and dedication; she will make your next sale a pleasure! 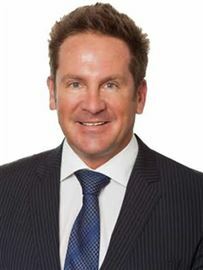 Michael Ramsay is the Business Development Manager and Team Leader for the Harcourts Coastal Property Management Team. Micheal brings to the role great experience in all aspects of the Property Industry including a long family histroy in Property Management. He understands the value of communication, efficiency and delivering what we promise when managing your most valuable asset. Micheal is always available to provide the right advice and an obligation free rental appraisal for your property. Contact him on micheal.ramsay@harcourts.com.au or 07 55 266 999 or mobile 0403 563 657. 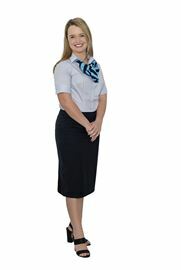 Jelna has lived on the Gold Coast all her life and has grown up in the local area. Experienced administrator and with a personality to light up the room, with a happy and positive approach. Awarded "Office Administrator of the Year - 2008-2009" at the Soffitel, Brisbane, Jelna represent the Best in Queensland when it comes to strong administration and organisation on a daily basis. Always willing to assist the sales team and dealing with our clients in a most professional manner, Jelna is "The Jewel in our Crown". SOLD - Under The Hammer! The Kids Will Thank You. Renovate and Reap the Rewards!